The 2016/17 financial year started in the midst of the gripping drought that covers many parts of the province, and continues to place a burden on agriculture and food security in general. The drought experienced in most parts of the country has proven challenging for many producers, especially along the West Coast of the Western Cape. A support scheme instituted by the Western Cape Department of Agriculture (WCDoA) and further augmented with financial support from Agri Western Cape provided some relief. Casidra was tasked to procure drought relief feed for the farmers’ livestock that met the qualifying criteria. At Anhalt, the transformation process for the handover of the business and land to the community of Haarlem, has started in all earnest. In August 2016, the Community Property Association (CPA) was registered. This body mandates the elected community members to represent the community in discussions and deliberations about the transfer of the business. An Executive Committee, consisting of the Department of Rural Development and Land Reform (DRDLR), WCDoA, CPA and Casidra was established. This structure is responsible for the strategic management of the Anhalt farm. Casidra was appointed and is responsible for the operational management of the farm, and reports on progress to the Executive Committee. Casidra proposed and presented a training programme (Development Plan) to the Executive Committee, which is aimed at training the elected CPA members and others in the critical functions of the management of the farm. The DRDLR indicated that it will fund this training programme. During the month of August, when the plight of women in the broader society is placed under the spotlight and there is focused attention on female issues, Casidra was privileged to celebrate significant female achievements in the company. Neljanine Soman was appointed as the farm manager at Waaikraal in July 2016. This noteworthy occasion not only heightens the awareness of women, but is significant because Neljanine is the first female farm manager on the farm and is also a local from the nearby town of Dysselsdorp. At Amalienstein, a number of workers were entered into the Klein Karoo Prestige Agri Awards competition. Casidra’s employees who were nominated and entered, faced strong competition, but were impressive and amassed numerous accolades. Casidra is overjoyed with their achievements. 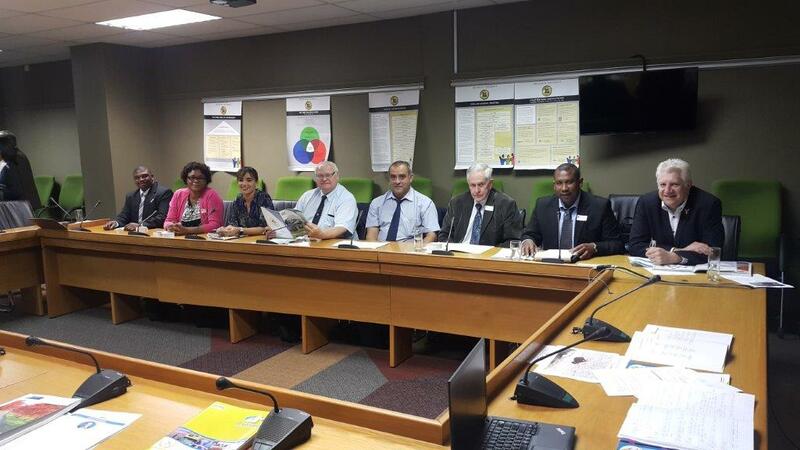 Casidra recently embarked on the Western Cape Schools Job Fund project as the implementing partner alongside the Western Cape Department of Education. The aim of the project is to enrol unemployed matriculants, aged between 18 and 25, in skills programmes at selected schools throughout the Western Cape. Casidra’s contracted role was to only administer the payments of the stipends to these intakes after the receipt of relevant documentation from the Department and other partners. Due to institutional incapacity at the Department of Education, which took over the role of the main partner from the Department of Local Government, a number of functions were taken on by Casidra to ensure that the project remains on track. This led to a few bottlenecks, especially in Casidra’s payroll system, because it was never planned to do the administration and accompanying verification for the payment of 1000 intakes. Casidra’s employees are commended for the many hours of extra work they put in and with a total and committed team effort, the backlog could be wiped out, a streamlined process flow for the payment process could be established, a call centre to deal with enquiries from schools, parents and intakes was put into operation and the required reporting could be made to GTAC and Treasury. Casidra is currently in discussion with the Department of Environmental Affairs (DEA), which is finalising the new cycle of their Environmental Programme, and is looking forward to partnering with the DEA again. The environment is also continuously being scanned for new clients, while we continue to implement the agriculture mandate of our institutional funder. A renewed focus will also be placed on working with municipalities in the province.